We look forward to you coming to visit New Orleans and hope you enjoy your stay at one of the many beautiful bed and breakfasts in town. Let ExperienceNewOrleans.com be your guide for things to do in New Orleans. They have a comprehensive calendar of upcoming events, a detailed list of tours and attractions, and much more. There are many, many delicious restaurants in New Orleans. Whether you're looking for a quick bite to eat or something more formal, NewOrleansRestaurants.com is your go to resource for the best places to eat out. 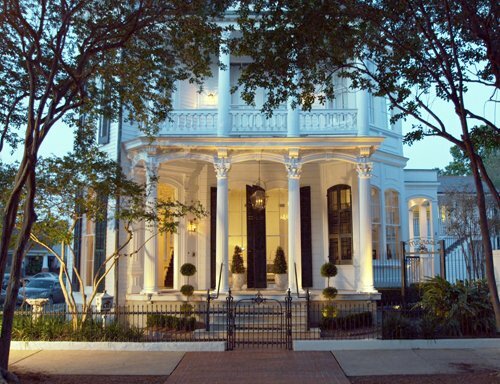 Planning on getting married in New Orleans? WeddingsInNewOrleans.com can help you find the perfect wedding venues, reception venues and much more to make sure that your special day is unforgettable. Want to save some money while you're here? Visit NewOrleansCoupons.com to find money saving discounts to the best restaurants, popular attractions, and shopping favorites across the city. The most popular time to visit New Orleans is for Mardi Gras. MardiGrasNewOrleans.com is your local connection to all of the information about the Carnival season so that you'll be in the know for all of the parades and festivities.